Good morning class. Welcome to round six of Alphabe-Thursday! I'm BAAACK! Thought about you today and just had to stop by and say, "Hi!" Believe it or not, I'm here this week. I barely made it this morning, as I was having bothersome doubts on whether or not I should wrack my brain to come up with my assignment, but in the 9th hour a bright bulb inside my head clicked. Thanks for hosting another round of Alphabe-Thursday! This week is so easy for me. Our grandson just had his first Birthday! Lots of cute pics to share. Thanks for this fun party. Didn't realise AT had begun again until I saw Pondside's post, happy to be back with you again! 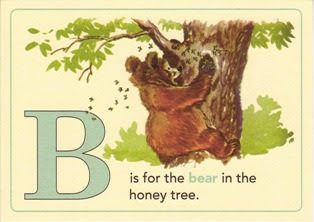 I love Alphabe-Thursday and am grateful for another round! I made it in before Thursday's end! Wrote this tidbit this morning but only had chance to post it now. Thanks for so much fun here! Boy, am I behind! But better late than never, right? Too bad I forgot to put "Sue's News, Views, etc." with my title post on the Linky. I am hurrying waaay too fast. I am late for my beautiful birthday post! Hope you will stop by! Have a terrific weekend!